On Friday, November 7, 2014, Georgia Kestol-Bauer hosted visitors at the Heart Prairie Norwegian American Methodist-Episcopal Church. Sandy Kintner, Chair of the Commission on Archives and History for the Wisconsin Conference of the United Methodist Church and Lynn Lubkemann, Archivist for the Wisconsin Conference, visited along with Reverends Kimberly Brumm and Susan Bresser (Lead Pastor) of the United Methodist Whitewater Area Regional Ministry. 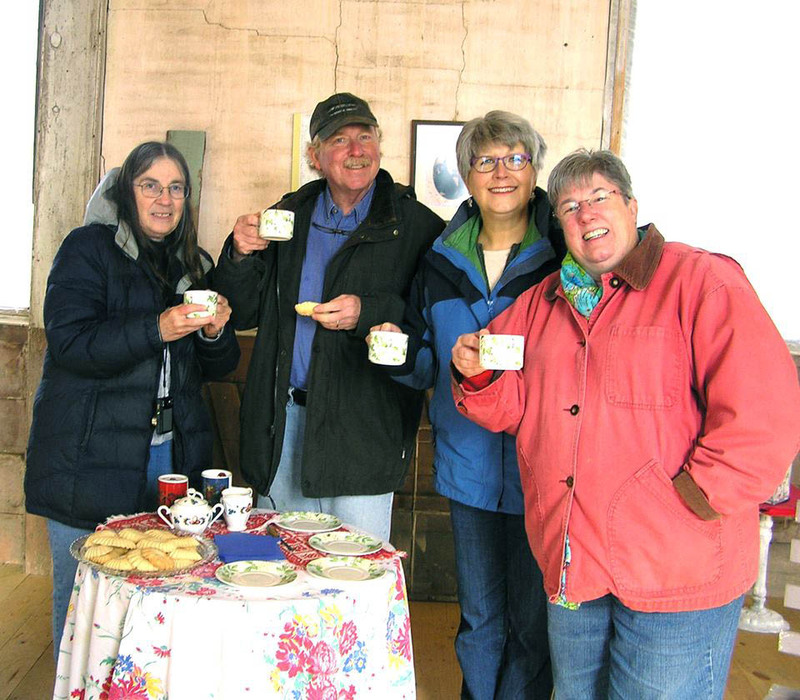 While they enjoyed coffee and Norwegian cookies, the group reviewed the restoration progress of the church. They also examined old church record books and photographs that highlighted early settlers who were prominent in the establishment of the church. These included Christopher Willerup, a circuit rider from Cambridge, Wisconsin who was the first minister of the church, Christopher Steenson, who donated the land for the church and cemetery and later became a minister of the church, and Peter Kestol, one of the founders who helped build the church. Afterwards, the group toured the cemetery where they viewed the grave sites of the early members and ministers.